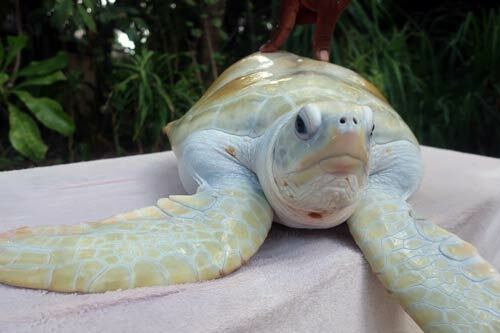 Cloud belongs to the green sea turtle species. 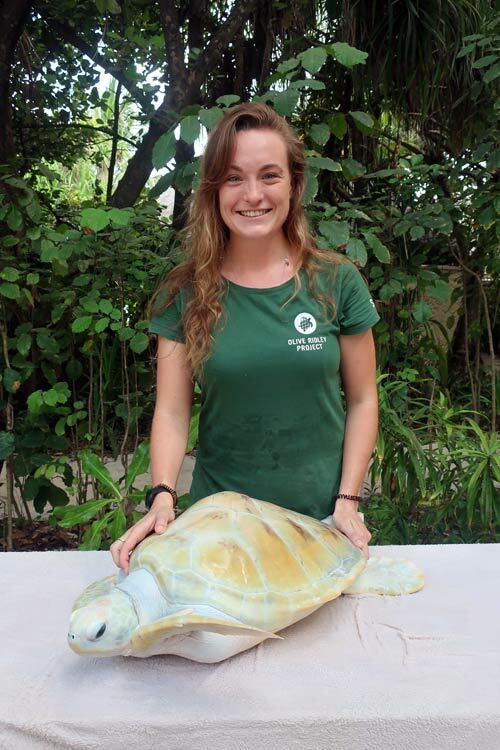 She was rescued from the ocean in Male atoll, where she was found floating in the ocean and unable to dive down. 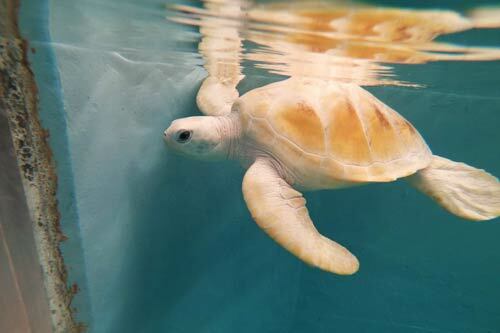 Cloud’s rescuers tried to release her on two occasions, but she kept floating at the surface. They called the Rescue Centre for advice and we recommended that she came to the centre for a health check. Cloud took a seaplane from Male to Coco Palm Dhuni Kolhu in Baa Atoll. The first night at the Rescue Centre she stayed mostly at the surface. However, the next day we found Cloud happily resting on the bottom of her tank. Cloud had a deformed carapace; the top of her shell had a noticeable lump. 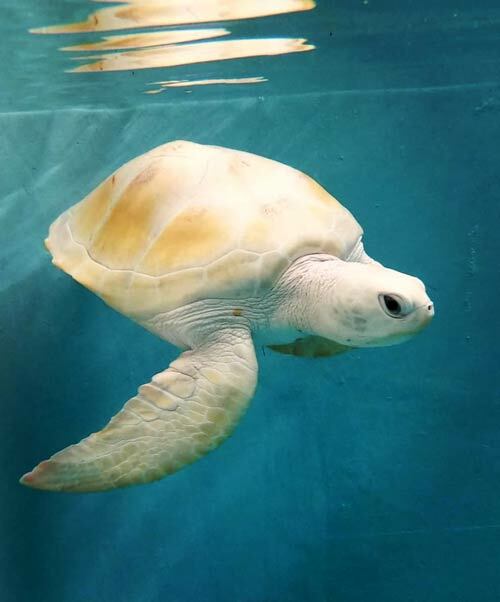 The deformed shell affects the anatomy of her lungs as the lungs attach to the top of the shell in sea turtles. On X-ray we also found that she has a condition called Scoliosisher where the spine is abnormally curved. 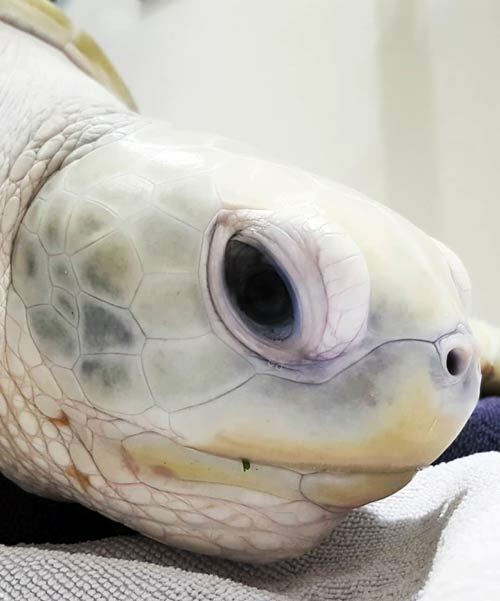 Leucistic turtles often have multiple malformations. They have genetic defects and can also develop malformations during embryonic development. 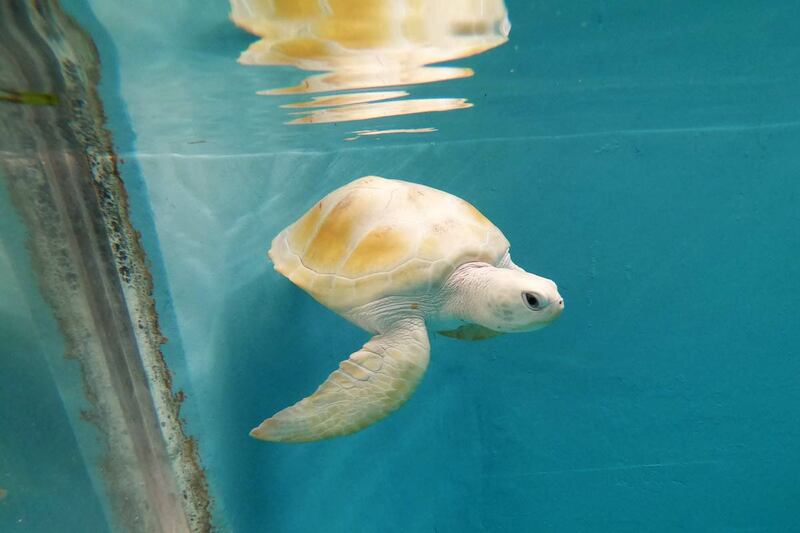 Despite all of this, Cloud was swimming and diving well and did not seem affected by her birth problems. Cloud was released on 24th March 2019. 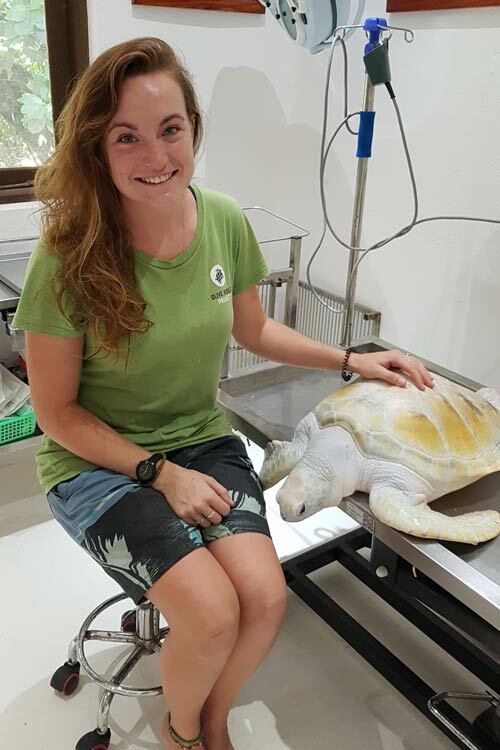 You can read more about Cloud, her condition and the miracle that she actually is here.